You may have noticed a series of articles in the New York Times about musicians and songwriters getting their copyrights back that they had “granted” to labels and publishers years ago. FMC got the closing quote in the first story by Times scribe Larry Rohter; a follow-up appeared today. We encourage you to read both pieces, as they tell an interesting story about the balance of power in the traditional music industry, and how that power is continuing to shift. The initial change was due to technology — the arrival of the internet meant that creators no longer had to depend solely on gatekeepers and middlemen to reach potential audiences. The latest shake-up is something that Congress initiated more than three decades ago. One thing to note right up front is that there are two copyrights in music: the composition copyright — think notes on paper — and the sound copyright — think music captured on tape or hard drive. The composition copyright belongs to the songwriter at the moment he or she writes the song. Boom, it exists! The sound copyright belongs to the performer (or performers, if it’s a band), when the “master” recording is created. Historically, artists would transfer their copyrights to an outside entity, like a label and publisher, who would do the heavy lifting in getting the music out to the public. For a label, this meant pressing the CDs (or vinyl), sending promos to radio and record shops, securing retail positioning, etc. Publishers would administer the rights to the composition and lyrics and attract revenue through licensing. Typically, an artist would receive a certain amount of money from the label or publisher at the time of the transfer of their copyright. That money, known as an “advance,” would be held against all the debts incurred in promoting, distributing and licensing the work. Anyone who has spent any time examining the history of the music biz can tell you that many musicians — especially recording artists — never “recouped.” Which means that they may not have even been able to collect the royalties outlined in their contract. But there’s a bright side. Even if an artist granted their copyright to a label or publisher, they are still eligible to get their work back after a certain period of time. In 1976, Congress set that term at 35 years; previously, it had been 56. The “new” law went into effect in 1978, and that’s when the clock started ticking. So now we’re seeing a host of works that are eligible to revert back to their creators. Essentially, anything created after January 1, 1978 is fair game for what’s called “termination of transfer.” This could be like the music-world equivalent of finding a 50 dollar bill in a pair of old jeans. 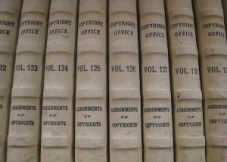 Termination doesn’t happen automatically, though — the artist has to serve notice at least two years before the date they want to get their copyrights back; once the Copyright Office decides that the song fits the criteria, they have five years to file a claim to actually have the work come back to them. If they miss the window, they’re out of luck. Obviously, many of the companies that currently control these copyrights aren’t in any hurry to give them back. But I think it’s important for creators to have another bite at the apple, so to speak. When you look at the history of the music industry, you often hear horror stories about bad contracts where artists never recouped or made any money — particularly on the sound copyright side. The termination provision in the US Copyright Code gives them another opportunity. Even if they decide to re-grant their works to a label, they may have more leverage than the first time around. And, given that it’s much easier to reach audiences directly, they could very well take a DIY approach and license or sell directly, thereby cutting out the middleman. No single approach is going to be appropriate for every artist, but we think it’s crucial that they get to exercise their rights as Congress intended. Here’s where it gets sticky: the labels and publishers are likely going to try to find ways to justify holding on to those copyrights. Maybe it’s something in a contract that they will try to point out as being outside of the terms that Congress set forth. Right now, it seems like there is hesitancy to take this to the courts, because where there’s litigation, there’s precedent. Many termination scenarios will likely be settled privately. Other artists may want to assert their rights by filing with the Copyright Office, come what may. We might just have to wait and see how this all plays out. Yet this isn’t an issue that stops after the first wave of works become eligible in 2013. It just keeps on going. At some point in the not-too-distant future, Madonna songs will be eligible for termination. Then grunge bands. For some of us, it’s another startling reminder of the passage of time. But for musicians and songwriters it’s an important, and potentially rewarding part of copyright law that directly affects them.